With the recent vote by the NCAA allowing the Big 12 to host a conference championship game (CCG), one of the biggest offseason questions is now put to bed. However the way in which the vote was carried out exposed a number of other issues. One of these issues was the political vulnerability of the ACC. The discussion regarding the CCG rule change is mostly associated with the Big 12. This disregards the fact that the ACC was much more aggressive in pursuing this rule change. The ACC was the first conference to formally vote on sending legislation to the NCAA. It was the ACC who sent the current proposal to the NCAA whereas the Big 12 simply collaborated with the ACC on it. The Big 12 approached this rule change with lukewarm support. They stated that they were in favor of it, but they didn’t do anything to suggest they would implement it as soon as possible if the rule was passed. Their rhetoric suggested that they were open to the possibility, but also satisfied with the status quo. Meanwhile the actions of the ACC suggest a sense of urgency. In late 2013 emails by the Syracuse athletic director came to light. These emails exposed discontent over cross-divisional rivalries having long multi-year gaps of not being played. It also expressed concerns that the resources of the conference (recruiting and markets) were not being fairly or appropriately distributed among the ACC membership in the current divisional setup. These issues were further exposed last summer when Wake Forest and North Carolina took the unusual step of scheduling a non-conference game. Additional reports soon followed suggesting other ACC schools were making similar considerations. The ACC has struggled to find a satisfactory divisional arrangement. They have an extremely complex conference web of resources and rivalries that need to be factored in. Their failure to find an ideal setup is why the conference pushed so hard for this rule change. Their plan was to use a non-divisional model, which the original rule did not allow. The original proposal for this rule change called for a total deregulation allowing conferences to host a CCG without abiding by the divisional requirement, or the requirement that a conference have at least 12 teams. This proposal was expected to pass until the Big Ten pushed forward an amendment to the proposal. The Big Ten amendment called for the rule change to be modified so that the new setup would allow a conference with less than 12 teams to host a CCG, but it still required a divisional setup. The general attitude regarding this specific amendment took a “Big 12 verse Big Ten” or “Big Ten is against CCG deregulation” perspective. Both of these perspectives were incorrect. The Big Ten amendment was aimed more so at the ACC as it specifically banned the type of scheduling arrangement the ACC wanted to replace a divisional setup with. For the Big 12 it was only a minor inconvenience. At the same time Delany publicly stated that he was simply trying to prevent the new rule from being abused, and he never appeared to disagree with the rule in principle. As a result from concerns raised over the impact that the amendment would have on the Big 12, the Big Ten proposed a second amendment that acted as a compromise. The second amendment allowed for a CCG only to conferences that had less than 12 teams, and played a round robin schedule. This second amendment once again did absolutely nothing for the ACC. It would eventually pass with only the AAC and ACC voting against it. It was as if the B1G was taking a direct shot at the ACC and the Big 12 was simply caught in the crossfire. Once the Big 12 got what they wanted, they abandoned the ACC. 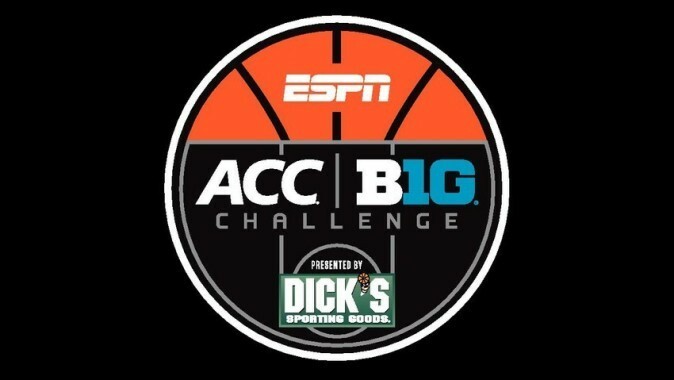 There are a number of intriguing takeaways from how this vote went down regarding the relationship between the ACC and Big Ten (B1G). The first takeaway is that that the B1G showed a willingness to completely screw over the ACC. The second takeaway is that the B1G demonstrated the ability to work with the Big 12 to alleviate their concerns, but did not extend a similar hand to help the ACC. The last takeaway is that the B1G displayed an enormous show of power by taking what had previously been near unanimous support regarding total deregulation, and channeling that support into their own voting block against. The B1G not only treated the ACC with complete brutality. They did it regarding an issue that was key to the ACC’s stability and long-term survival. They did it without attempting to make a more reasonable amendment that would prevent abuse, while still allowing the ACC to host a “no divisions” CCG. We normally don’t see tactics like these deployed between two power conferences unless one considers the other an enemy, or the existence of a feud. So somewhere down the line the ACC must have done something that enraged the Big Ten. Most people assume that the two biggest geopolitical rivals in the P5 are the ACC and Big 12 because they are the two weakest conferences in a system that is better tailored to having only four power conferences. While this is true, the perception of weakness is a mutually shared issue. This gives the two conferences overlapping interests. The CCG collaboration we have seen between the two conferences isn’t the first time we have seen them work together. Another example is the assistance the Big 12 gave the ACC in framing a Grant of Rights. These two conferences are both focused on survival and there is only one territory (West Virginia) where the two conference footprints overlap. Meanwhile the B1G and the ACC have been in an intense battle for control of the Northeast. Both of these conferences have made multiple expansions of Northeast schools. The two conferences have been trying to outdo each other by building a stronger Northeast presence or brand. The crown jewel of the Northeast in this regard is the Big East Basketball Tournament (BET). No college sporting event comes close to it in New York City. The BET is now only a former shell of itself under a new Big East conference. But this hasn’t stopped the ACC & B1G from trying to replicate some of the success it had in the past by bringing their own conference tournaments to New York City. The catch 22 for both conferences is that the A-10 and (new) Big East have exclusive rights to host conference tournaments at MSG and Barclays (the two most prestigious NYC basketball locations). The ACC and B1G ended up making special deals with the two non-FBS conferences for the right to play at those arenas. This shows the extent that these conferences are willing to go in order to build a strong Northeast presence and to check the moves of each other. This came on top of the B1G opening a second conference office in Manhattan. This could be the reason behind the B1G’s actions, retaliation for challenging their hold on the Northeast. It could also be retaliation for other actions as well such as the ACC being an opponent of satellite camps. Perhaps it is retaliation for allowing Notre Dame to join their conference as a non-football member. There could also be more strategic forces at play here as well. Perhaps the B1G feels that the ACC’s intentions were with malice and they were planning on tailoring their system to guarantee Florida State and/or Clemson an easy conference schedule. It could also be a sneaky way to incorporate Notre Dame as a full football member without disrupting their other scheduling obligations with Navy, USC, and Stanford. Or maybe the Big Ten, which has historically been the most traditionalist of the P5, is afraid of a “no-divisions” setup so much that they don’t want to see any conference implement it right now. Finally, and this is the thought that should keep ACC fans up at night, what if Maryland isn’t the only ACC school the B1G is targeting and they are doing this as an attempt to destabilize the ACC? It looks an awful lot like the B1G is the only culprit here, but it can not be omitted that the SEC was very quick to jump on board with the B1G. The reason I include the SEC is because this isn’t the first time the SEC has spurned the ACC. The SEC teamed up with the Big 12 to create a New Year’s Day bowl to rival the Rose Bowl. This left the ACC as the only P5 conference without such a bowl. It is very easy to inject the same arguments I used with the Big Ten as to why the SEC considers the ACC an enemy. No two P5 conferences have more overlap in their conference footprint than the SEC and ACC. The SEC also has a history of chasing ACC schools. One of the reported SEC targets during the 2010-2013 conference realignment was Virginia Tech (VT). What makes the reported interest in VT so compelling is that there is a strong belief that the SEC, a conference that is in recent years has been doing their best to copy the B1G, is putting a larger focus on academics in realignment than what was previously thought. For me personally, I find it hard to believe that the SEC would offer VT without first approaching Virginia, North Carolina, or possibly Duke as well a little far fetched which makes the “SEC academics” theory believable. If you give the SEC the same conference realignment motives as the B1G in voting against total deregulation, it establishes a motive for the vote of every P5 conference (the Pac-12 abstained and was the only FBS conference to do so). The best-case scenario for the ACC is that the conference is simply terrible at making friends. This statement is not meant as a joke. It follows a repeat pattern where the Big 12 constantly benefits from outside support, while the ACC is left to fend for itself. One of the rumors regarding how the Big 12 managed to stay together following the loss of Colorado and Nebraska was “an influential group of outsiders” that was said to include fellow Power Conference administrators. The Big 12 also enjoyed generous support from the TV executives to keep the conference stable whereas the TV executives can hardly be portrayed as helpful to the stability of the ACC. On top of that the ACC more often than not, seems to find themselves politically isolated from the rest of the P5, whereas the other P5 conferences have been quick to come to the aid of the Big 12. So whether the CCG vote has to do with conference realignment, or not having any friends, the ACC’s decision to propose an amendment to ban satellite camps (which is a direct shot at the B1G) certainly doesn’t dispel the notion that there is a feud between the two conferences. UConn is the key to controlling the norheast. I would think the battle is over UConn. Whoever gets the Huskies locks up NYC and New England. Thats why the Big 12 , B!G and ACC are all working behind the scenes to woo the Huskies. Whoever prevails will be the king of lots of eyeballs for their network. As a UCONN alum, thanks for the effort guys. Big12, ACC and B1G “working behind the scene to woo the Huskies”, funny. The University of Connecticut would accept an invite delivered by carrier pigeon to join a P5 Conference and escape the futility of the “American” and the conferences pitiful revenue streams. UCONN gets it up the ol’ wazzoo every time there is Conference Realignment and their is absolutely no reason to think next time will be any different. A shame, but true.